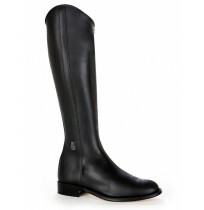 Elastic riding boots and black full grain box calf full leather. 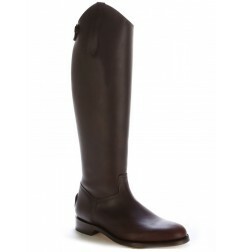 Find handcraft boots for your equestrian recreation, dressage, competition etc. 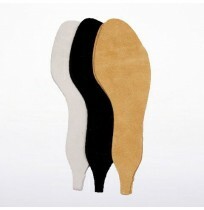 Shoes made for me, your shop specializes in high quality leather boot. 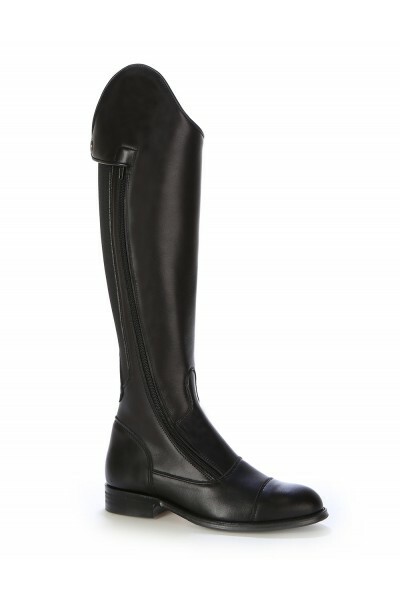 Black elastic horse riding boots. 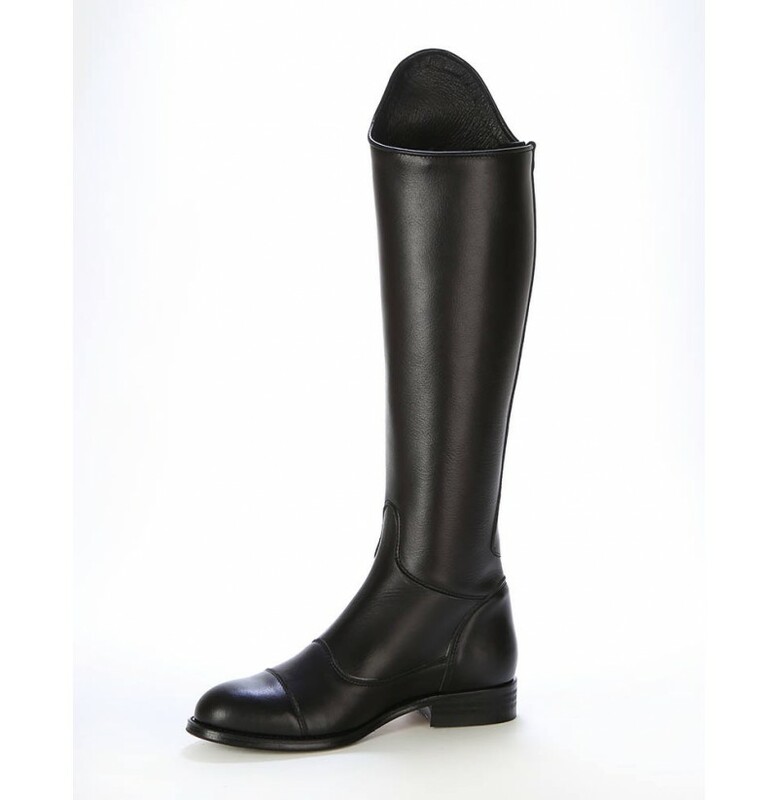 Splendid riding boots made of full grain box calf leather, in black color. 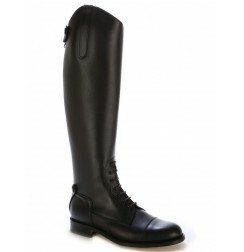 Specially created for your equestrian recreation, these pretty boots will fit perfectly to the curve of your leg thanks to the elastic band placed on the outside of the boot. 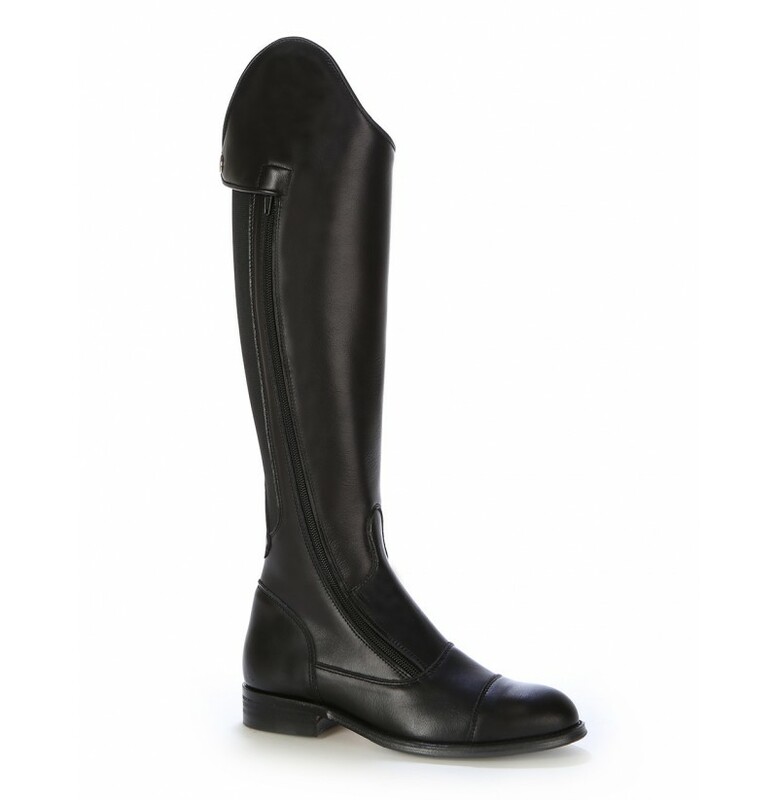 The model is typically ride style with its asymmetric cut whose stem rises on the leg on the outside of it. 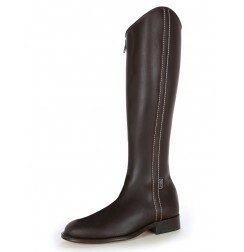 The riding boots have a zipper on the outer side so as not to hurt the horse. 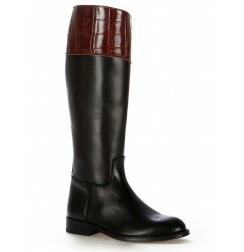 A large leather flap with pressure hides the zipper and give shape to the boot, with a nice style. 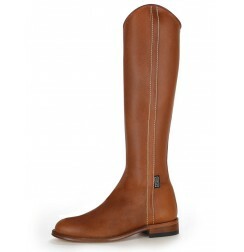 The upper of training boots must be high so as not to get caught in the frame, which is why these models are high. 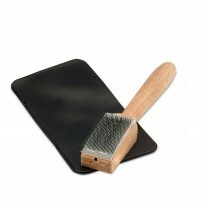 The height of the rod varies according to the sizes, do not hesitate to contact us if necessary in order to obtain this information. 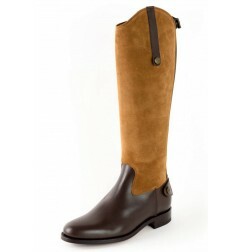 These beautiful riding boots boots are made with the art and tradition of craftsmanship. 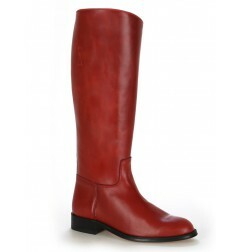 The lining of the boots is leather, the soles are sewn and are also leather, covered with a protective rubber pad. 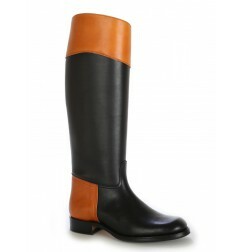 Boots available from 35 to 46 in stock and on order for sizes 47 and 48. 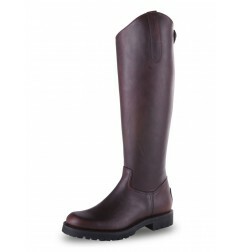 Plus: These boots are designed for riding but are also used for city use. 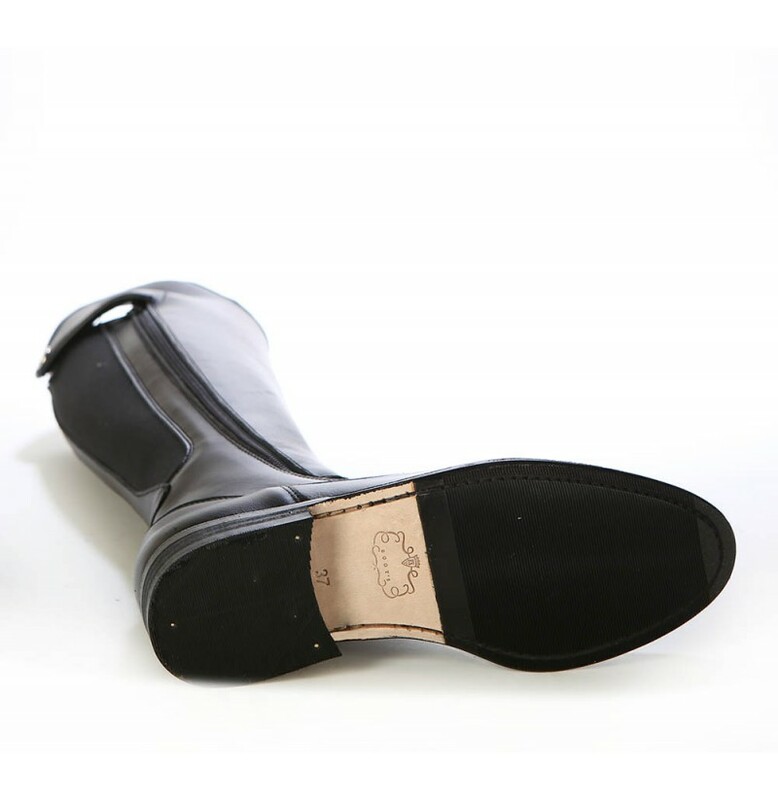 If you have a long leg, a thin calf, or a strong kick, and you know that your measurements are not standard, we will make these tailored training boots, according to your measurements that you find in the section Riding boots made to measure with the sheet of measurements to fill.